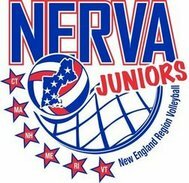 NERVA is pleased to announce the New England Pre-Qualifier Volleyball Tournament to be held on March 8 and 9, 2014 at the Boston Convention and Exhibition Center. This two day event will be held on 18 courts and host both a Girls Juniors tournament and Adult team level tournaments. This event will be run by NERVA in partnership with Joseph Volleyball Camps and has locked in dates thru 2017. Joseph Volleyball Camps is the current supplier of courts for Winterfest and has a strong partner relationship with NERVA. In August it was announced that we did not acquire a USA Juniors Qualifier Bid. Since that time we have continued to work with the Boston Convention and Exhibition Center to establish an event in Boston. Through much work by all parties we have reached an agreement that will provide a much needed additional convention center tournament in our Region. We hope that this event will grow to a point where we can again be a viable choice for a potential USAV qualifier in the future. Your NERVA Board continues to grow the sport of volleyball through additional programming. We wish to thank everyone involved in these efforts but mostly our members for their continued support.